The Seattle Mariners visit Minute Maid Park on Saturday, September 16, 2017 to play the Houston Astros. The probable starters are Erasmo Ramirez for the Mariners and Dallas Keuchel for the Astros. The opening line for this matchup has Seattle at +182 and Houston at -195. The Mariners have a 70-72-5 over/under record and a 66-81-0 run line mark. 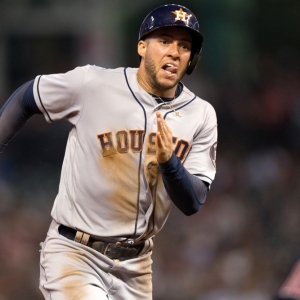 The Astros are 75-71-0 against the run line and have a 74-63-9 over/under record. The Mariners have a 74-73 overall record this season. Starting pitcher Erasmo Ramirez has a 5-5 record with an earned run average of 4.25 and a WHIP of 1.14. He has 92 strikeouts over his 114.1 innings pitched and he's given up 104 hits. He allows 8.2 hits per 9 innings and he has a FIP of 4.67. The bullpen has an earned run average of 3.96 and they have given up 467 base hits on the year. Teams are hitting .238 against the bullpen and they've struck out 485 hitters and walked 196 batters. As a team, Seattle allows 8.7 hits per nine innings while striking out 7.7 batters per nine innings. They are 15th in the league in team earned run average at 4.41. The Mariners pitchers collectively have given up 1,266 base hits and 643 earned runs. They have allowed 216 home runs this season, ranking them 4th in the league. Seattle as a pitching staff has walked 458 batters and struck out 1,119. They have walked 3.1 men per 9 innings while striking out 7.7 per 9. They have a team WHIP of 1.32 and their FIP as a unit is 4.75. As a team Seattle is hitting .260, good for 11th in the league. The Mariners hold a .422 team slugging percentage and an on-base percentage of .327, which is good for 14th in baseball. They rank 10th in MLB with 8.9 hits per game. Robinson Cano is hitting .281 with an on-base percentage of .341. He has 149 hits this season in 531 at bats with 88 runs batted in. He has a slugging percentage of .461 and an OPS+ of 114. Nelson Cruz is hitting .289 this year and he has an on-base percentage of .375. He has totaled 145 hits and he has driven in 109 men in 501 at bats. His OPS+ is 143 while his slugging percentage is at .541. The Mariners have 1,310 hits, including 262 doubles and 175 home runs. Seattle has walked 447 times so far this season and they have struck out 1,147 times as a unit. They have left 995 men on base and have a team OPS of .749. They score 4.71 runs per contest and have scored a total of 692 runs this year. Houston has a 88-58 overall mark this year. With an earned run average of 3.03, Dallas Keuchel has a 12-4 record and a 1.12 WHIP. He has 106 strikeouts over the 127.2 innings he's pitched. He's also given up 102 hits. He allows 7.2 hits per nine innings and his FIP stands at 3.83. The bullpen has an earned run average of 4.44 and they have given up 444 base hits on the year. Teams are hitting .235 against the Astros bullpen. Their relievers have struck out 595 batters and walked 197 opposing hitters. As a team, Houston allows 8.3 hits per nine innings while striking out 9.9 batters per nine innings. They are 12th in the league in team earned run average at 4.28. The Astros pitchers as a team have surrendered 1,204 base knocks and 619 earned runs this season. They have given up 176 home runs this year, which ranks 21st in Major League Baseball. Houston as a staff has walked 484 hitters and struck out 1,427 batters. They give up a walk 3.3 times per 9 innings while they strike out 9.9 per 9. Their team WHIP is 1.30 while their FIP as a staff is 3.99. As a team, they are batting .281, good for 1st in the league. The Astros hold a .478 team slugging percentage and an on-base percentage of .345, which is good for 1st in baseball. They rank 1st in MLB with 9.7 hits per contest. Josh Reddick comes into this matchup batting .313 with an OBP of .359. He has 141 hits this year along with 79 RBI in 450 AB's. He maintains a slugging percentage of .482 with an OPS+ of 131. Jose Altuve is hitting .348 this season and he has an OBP of .409. He has collected 190 hits in 546 at bats while driving in 76 runs. He has an OPS+ of 165 and a slugging percentage of .559. The Astros as a unit have 1,423 base hits, including 307 doubles and 217 homers. Houston has walked 456 times this year and they have struck out on 971 occasions. They have had 986 men left on base and have an OPS of .823. They have scored 5.45 runs per game and totaled 795 runs this season.